Glittering Butterflies are dazzling with this inflatable. Sunlight makes the sparkles even brighter! Love the outdoors and the beauty of amazing butterflies? 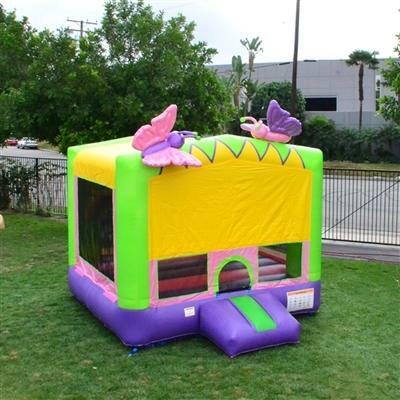 Then you can’t go wrong with this amazing inflatable! Perfect for the youngsters that love sparkles and butterflies! They get a generous jumping area to act like springy butterflies and they are shaded to boot! Surrounded by shaded enclosed netting a breeze is the best thing to flow through.